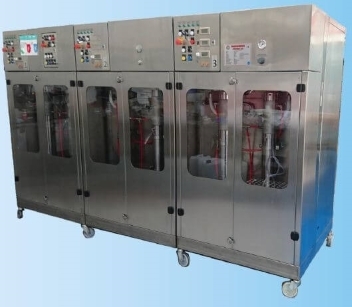 Homogenising Systems extensive range of high pressure homogenisers gives exceptional processing with highly controllable systems offering market leading pressure capability and processing versatility with both piston gap and micro-channel processing options. Small scale, high versatility fully featured systems with pressures to 60,000 psi (420 MPa, 4200 bar). 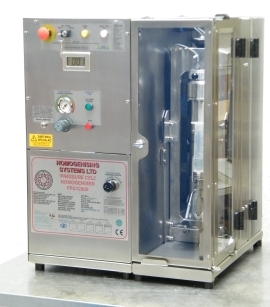 Fully featured systems up to 125 l/hr and pressure to 60,000 psi (420 MPa, 4200 bar). Smooth continuous delivery and options of piston gap and micro-channel processing technology. Production systems for all applications, flow rates to 375 l/hr pressures to 58,000 psi (400 MPa, 4000 bar). Fully featured systems to meet the most demanding of production requirements. SFP systems give industry leading pressure performance up to 58,000 psi (4,000 bar). Patented construction ensures quick and easy access for cleaning, inspection and maintenance. Versatile valve configurations provide excellent process optimization. 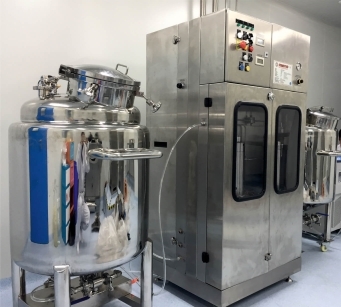 SFP's scalable technology offers practical processing from 1ml, through bench top, pilot and production systems with flow rate in excess of 1000 l/hr.